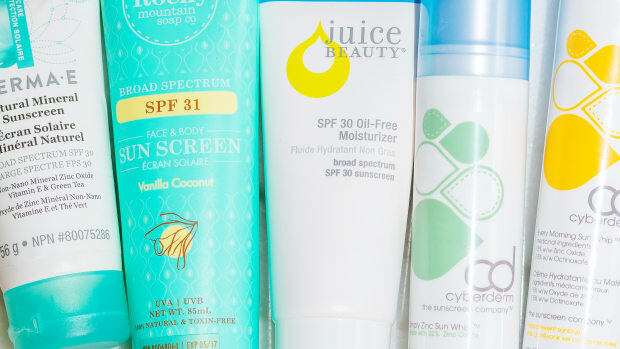 Your step-by-step guide to choosing a great SPF. According to the Environmental Working Group&apos;s latest report, 73 percent of sunscreens on the market provide inferior protection or contain worrisome ingredients. I know they give a statistic like that every year, but I never fail to be shocked by it! Ingredients that break down and become inactive in sunlight! 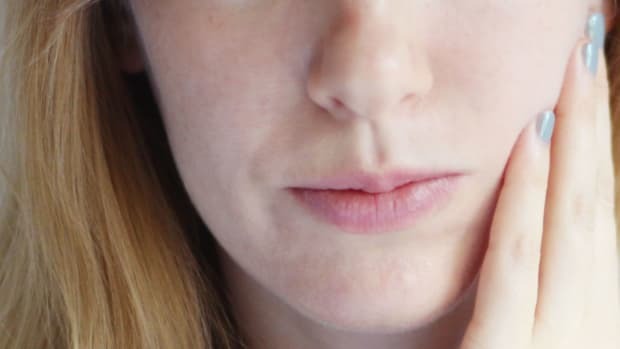 While application errors do exist due to product texture and format (like spray sunscreens, which are problematic because you can&apos;t easily see where you applied them), I think we can all agree that most sunscreens are failing us. Banana Boat is the most recent example of people getting burned—literally—by their sunscreen, and you&apos;ll probably remember the horror stories about Jessica Alba&apos;s Honest Company sunscreens a few years ago. No wonder I get so many questions about how to find a decent SPF! That&apos;s why I&apos;ve created the guide below to help you out. 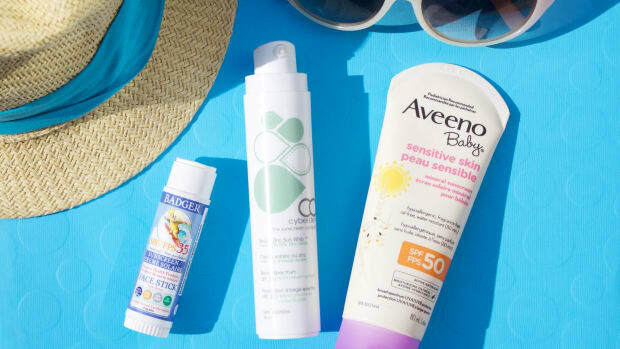 It walks you through EXACTLY what to look for on the label—so you can be sure you&apos;re buying sunscreen that will properly protect you, and not harm your health! Step 1: Is It Physical or Chemical? The name "Alba Botanica" might suggest that it&apos;s a mineral sunscreen, but it actually contains five chemical filters. First, look at the active ingredients to determine whether it&apos;s a chemical or physical (mineral) sunscreen. Don&apos;t make assumptions from the packaging alone. The Alba Botanica Fragrance Free Sunscreen Lotion SPF 40 above looks like it should be mineral, based on the name ("botanica" implies "natural") and the fact that the brand does sell other non-chemical sunscreens. But this one is not—it actually contains more chemical filters than most (homosalate, octinoxate, octocrylene, octisalate and avobenzone)! So you always have to inspect the ingredients. Chemical filters work by penetrating into your bloodstream. They may prevent sunburn, yes, but have limited effectiveness against the aging type of UV rays (UVA). They can also have hormone-disrupting and carcinogenic effects! Step 2: Does It Contain Zinc Oxide? MyChelle&apos;s Sun Shield Unscented SPF 28 contains both zinc oxide and titanium dioxide. The next thing to do is check whether you see zinc oxide on the label. The main thing you don&apos;t want to do is purchase a sunscreen that only contains titanium dioxide. As you can see, titanium dioxide gives you just partial protection against UVA rays, so it&apos;s not truly broad-spectrum. It can protect you from a sunburn, but won&apos;t do enough against the longer UVA wavelengths that cause premature aging. In contrast, zinc oxide gives you the best possible protection. Until we get the European filters Tinosorb M and Tinosorb S approved in North America, zinc oxide is the best filter we have and the ONLY one that offers complete UVA and UVB protection. Step 3: How Much Zinc Oxide? With only 4.13 percent zinc oxide, Tarte Tarteguard 30 Sunscreen Lotion Broad Spectrum SPF 30 may not protect you adequately from UVA rays. Your next step is to check what percentage of zinc oxide is in the formula. Here&apos;s how it works. According to Dr. Denis Dudley (a.k.a. "The Sunscreen Doc"), for every one percent of zinc oxide, you get 1.6 SPF units. I would avoid any sunscreens that are less than 15 percent zinc oxide. At that low of a concentration, the UVA protection is likely to be insufficient. A 15 percent zinc oxide formula is only about SPF 24, which would be the bare minimum—ideally, we want to aim for SPF 30! Many sunscreens are even lower than that, such as the Tarte Tarteguard 30 Sunscreen Lotion Broad Spectrum SPF 30 above, which has only 4.13 percent zinc oxide and 3.36 percent titanium dioxide. CyberDerm&apos;s Every Morning Sun Whip SPF 25 contains 15 percent zinc oxide and 7.5 percent encapsulated octinoxate (which acts like a mineral). 20 percent or more zinc oxide: Any sunscreens with 20 percent or more zinc oxide will give you complete UVA and UVB protection. Hooray! The higher the zinc oxide level, the higher the SPF. So if we go back to that 1.6 SPF units calculation, 20 percent zinc works out to SPF 32. Rocky Mountain Soap Company&apos;s Vanilla Coconut Natural Sunscreen SPF 31 contains 20.1 percent zinc oxide. Step 4: Does It Contain Unstable Oils? Choosing an oil-free sunscreen like Neutrogena&apos;s Sheer Zinc is the easiest way to avoid unstable oils that become toxic in UV light. With all skincare products—not just sunscreen—I always check whether they contain polyunsaturated oils, which are unstable by nature. And there are many more! If you aren&apos;t sure whether an oil is polyunsaturated, you can always search the oil name + "fatty acid profile" to find out. When UV light interacts with these types of oils, it can lead to pigmentation, premature aging and cellular damage (see study here). If you can&apos;t be bothered looking up all these oils, the easiest solution is to choose a sunscreen that is oil-free, such as the Neutrogena Sheer Zinc Face Mineral Sunscreen SPF 50 above (it has 21.6 percent zinc oxide, too!). Step 5: Does It Contain AHAs or Vitamin A? Choose sunscreens free of AHAs and vitamin A, such as Derma E Natural Mineral Sunscreen SPF 30. All of these may increase sun sensitivity and the possibility of sunburn, so they really don&apos;t belong in a sunscreen! Step 6 (Optional): Does It Contain Silicones? Juice Beauty SPF 30 Oil-Free Moisturizer is silicone-free. To be clear, silicones have no bearing on sunscreen safety or efficacy. But since they can affect the condition of your skin, I always try to avoid them if possible. I choose sunscreens without silicones because they form a surface film that can trap debris in the pores, which can lead to breakouts (among other skin issues). I think they&apos;re especially problematic in products you wear while sweating! Six of the best sunscreens from Derma E, Neutrogena, CyberDerm, Rocky Mountain Soap Company and Juice Beauty. So which sunscreens actually measure up? Here are a few that tick off my boxes. Check out my zinc sunscreen guides for face and body, for even more product options! To find a safe sunscreen, don&apos;t rely on the brand name or packaging—it&apos;s essential to analyze the ingredients list. Now you have all the information you need to properly evaluate a sunscreen! Again, I can&apos;t stress enough that reading the ingredient labels is key. Sadly, it&apos;s not as easy as simply choosing a natural product. And as you can see, the SPF numbers don&apos;t mean that much... not even the words "broad-spectrum." With something as important as sun protection, you just can&apos;t be too careful! Does your sunscreen meet these criteria? 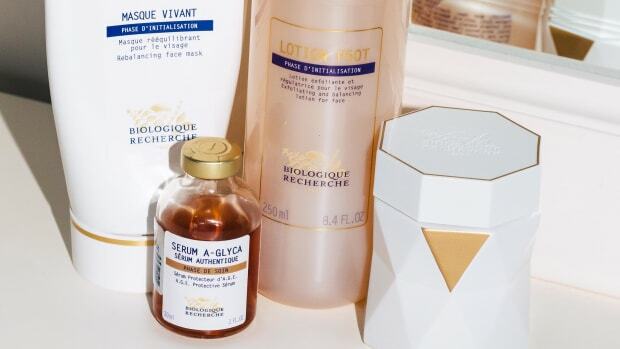 Have you tried any of my top SPFs—or found any others I should know about? Follow these tips for a healthy complexion. Spoiler: Mineral protection is best. Hate wearing sunscreen? Help is here. Because all SPFs are not created equal. Brush them on over your makeup. The brand's head of creation, innovation and research shares his approach to exfoliation, premature aging and more.